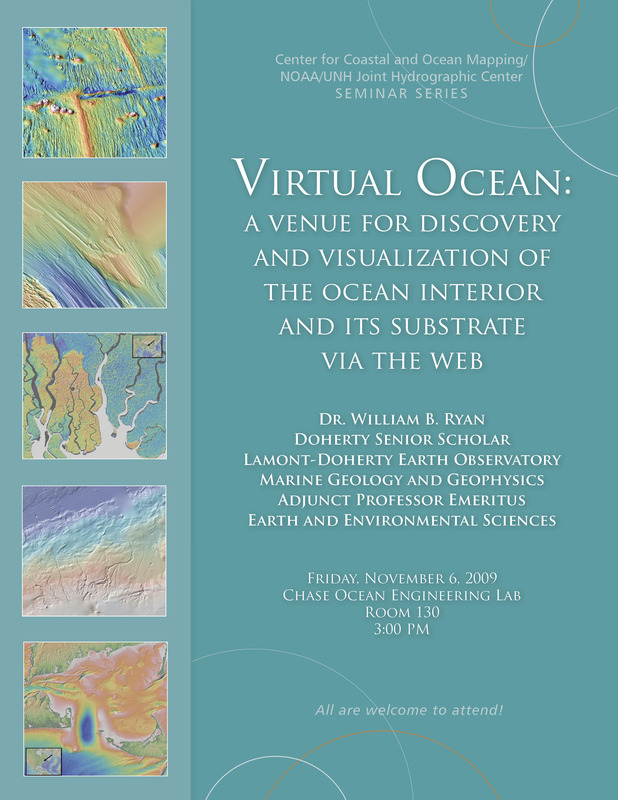 Virtual Ocean takes advantage of OGC-compliant Web Services and distributed servers to let users explore and manipulate a growing inventory of data resources from the global ocean, its seas, estuaries and rivers for scientific research, education and public outreach. The exploration is accomplished through a choice of viewports, including Mercator and polar stereographic projections and a 3-D virtual globe. Virtual Ocean opens directly from a browser window using Java Web Start and runs in operating systems common in laboratories, schools, libraries and homes. It offers multi-resolution global topography and bathymetry with eight successive doublings of magnification using terrestrial elevations derived from the Shuttle Radar Topography Mission and seafloor depths derived from satellite altimetry and multibeam swath mapping by ships. Gridded datasets can be exaggerated, colored, illuminated, shaded, contoured and adjusted for transparency. Tabular data appear in a spreadsheet interface that interacts with the icons in the map window and graphs. Datasets open automatically from searchable cascading menus and from browsing the capabilities of external Web Feature and Web Mapping services. Virtual Ocean integrates Java classes from Columbia University's GeoMapApp application with the NASA World Wind Java SDK.